A newly published report suggests that Apple is unifying the process of developing apps, allowing macOS users to run iOS applications without any hiccup next year. 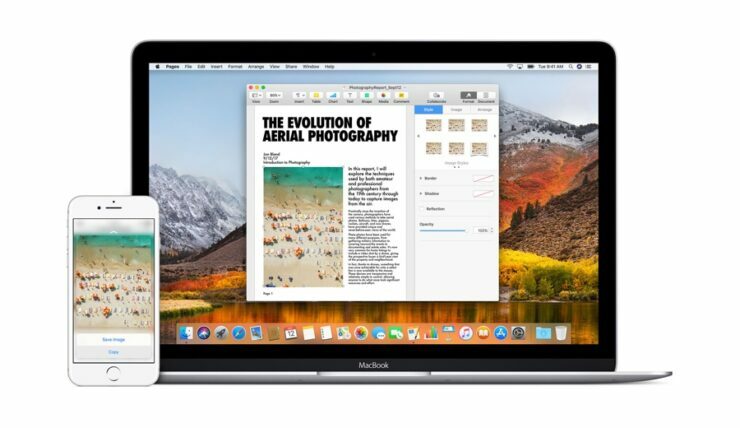 Report Suggests that Apple is Bringing iOS Apps to the Mac with macOS 10.14. Apple currently plans to begin rolling out the change as part of next fall’s major iOS and macOS updates, said the people, who requested anonymity to discuss an internal matter. The secret project, codenamed “Marzipan,” is one of the tentpole additions for next year’s Apple software road map. Theoretically, the plan could be announced as early as the summer at the company’s annual developers conference if the late 2018 release plan remains on track. Apple’s plans are still fluid, the people said, so the implementation could change or the project could still be canceled. Quite frankly, this is something that has been tried and tested by Google. Take a look at Chrome OS as a good example, on which Android apps work out of the box with complete interaction possible with a keyboard and mouse. It just remains to be seen whether or not this move by Apple of unifying binaries will prove to be fruitful for the end user. After all, ‘mobile’ apps just can’t serve to be proper replacement for desktop apps in a lot of places. But of course, at the same time, it’ll make the Mac an even more worthwhile place to be at as you can freely download and install apps without thinking about compatibility. What’s your take on this news? Let us know in the comments section below.